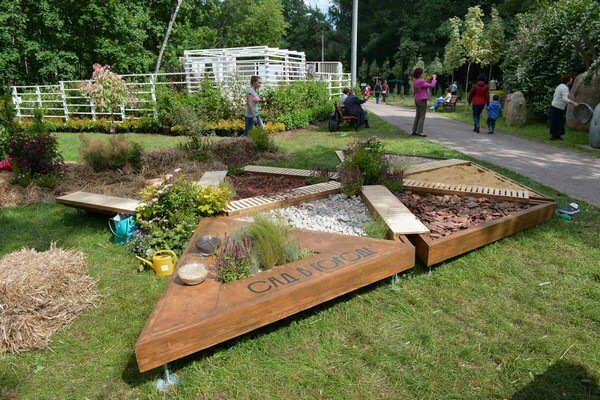 What is a mobile sensory garden? 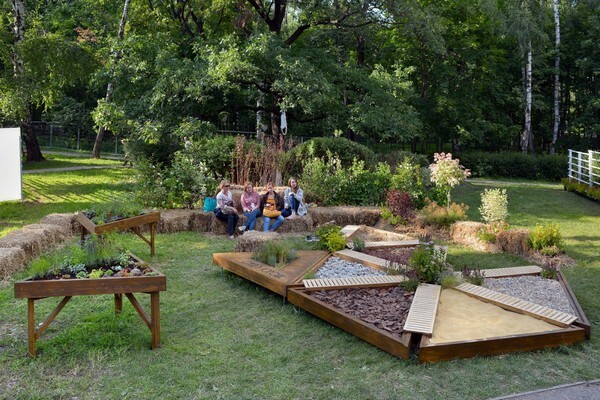 It’s a garden that can be easily moved from area to area to arrange green spaces in parks, squares, urban sites and even at enterprise territories. And of course, it’s an efficient alternative way to eliminate stress and restore your energy, especially when it comes to big city life. Here you can take off your shoes and walk barefoot, enjoying versatile types of natural surfaces from aromatic herbs to tree bark. 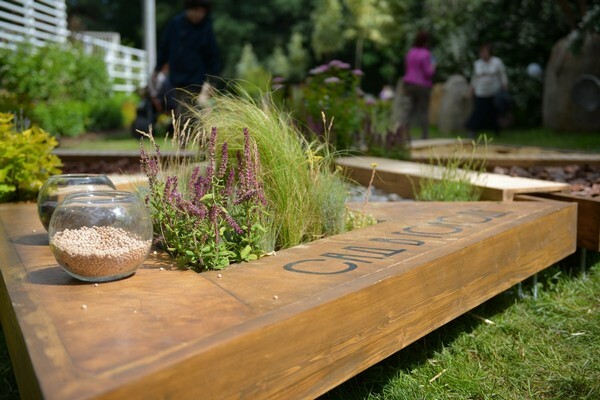 Who and what for invented a mobile sensory garden? Traditionally efforts of landscaping companies are focused on creating small gardens as elements of landscape design and on practicing garden therapy. It’s pretty standard and easy when you deal with private clients. But when it comes to municipal orders, it gets far harder due to high costs and the obligation to submit projects to state authorities for approval, which takes much time and effort. That’s how appeared an idea that practicing eco-therapy must be made possible in any environment and sensory gardens should be mobile. 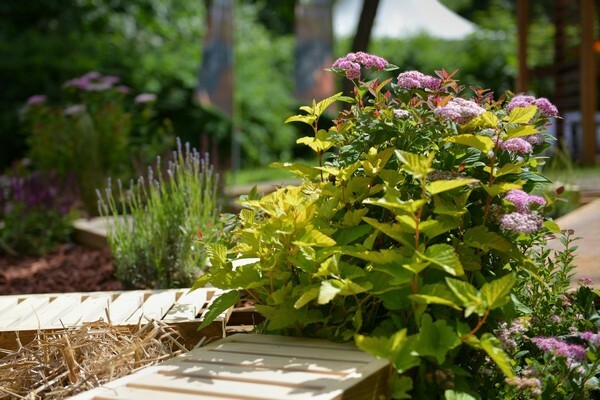 Modern mobile sensory gardens can be installed on any relatively flat surface, with any type of covering and of any shape and size. Its arrangement doesn’t require any digging, sinking into the soil or project agreement. And what is also important, it won’t spoil the grass if installed on the lawn. Sensory routes can already be found in many European and American parks. Their main pleasure is their therapeutic effect. We all like to go to the countryside, take off the shoes and enjoy the feel of freedom. 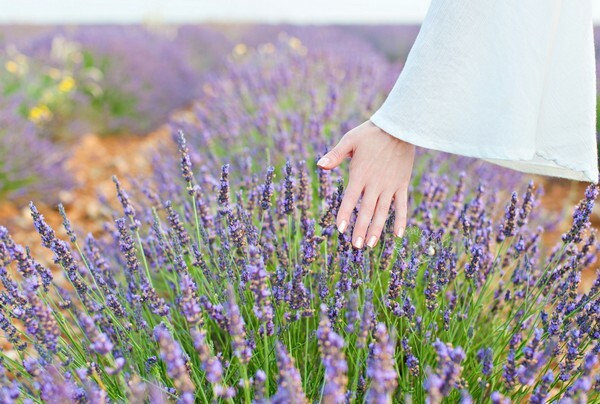 With sensory gardens the same thing can be done in the heart of a big city: here you can walk barefoot on pebbles, sand, and tree bark, touch the flowers and breathe in their magical aromas. You can even take care about the plants growing here. And neat and tidy visitors can always wash their feet on a wooden path after a walk. And if adults choose just to take a walk in different zones, kids are ready to dive into sand, pebbles and hay. They are ready to smell every flower growing in the garden and stay here for hours. And for good reason… Such natural routes offer you not just a piece of adventure, but a powerful therapeutic tool. Toddlers improve their motor skills, learn different scents, textures, the world around them. Besides, walking on versatile surfaces is a useful health measure on the prophylaxis of flatfoot. 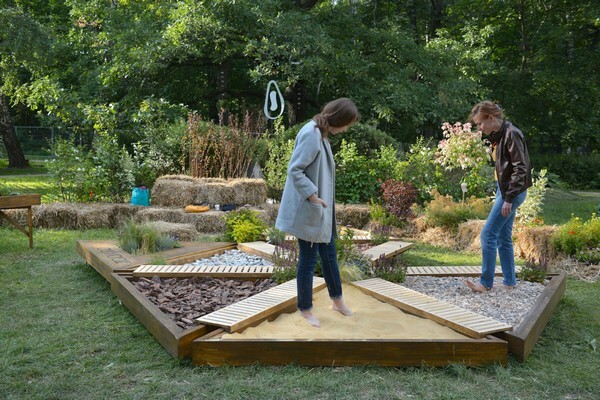 If you like the idea of sensory gardens, it can be easily implemented on your backyard. 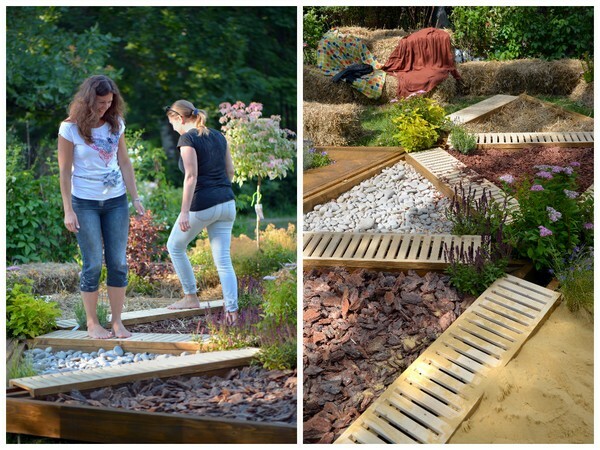 If you don’t have a chance to create a separate sensory zone, just make sure that your garden features at least 2-3 areas with different types of surface. For example, grass, wood and pebbles. This won’t cost much, but both adults and kids would benefit from it!